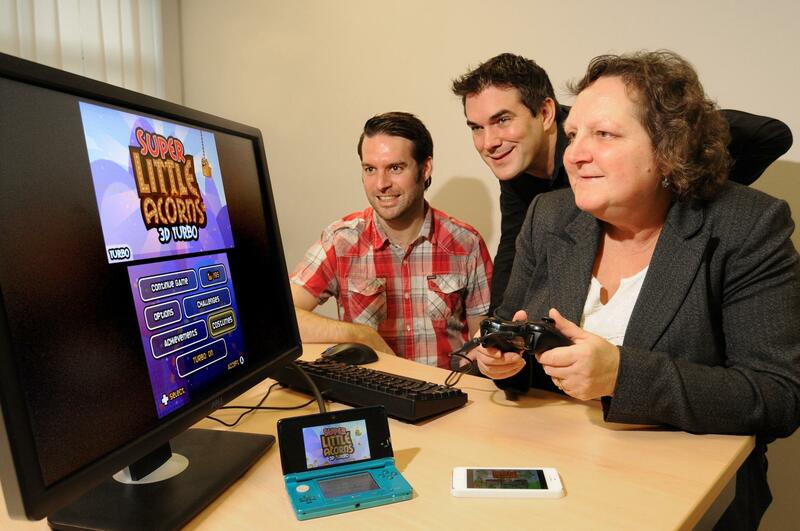 Two video games experts have launched a new company in Warwick to design the next generation of digital mobile entertainment. Alex Zoro and Andy Wafer have set-up Pixel Toys at the University of Warwick Science Park’s Warwick Innovation Centre in Gallows Hill as part of its Ignite programme. FreeStyle Games co-founder Alex and former Codemasters chief game designer Andy, who have over 25 years’ experience in the industry between them, are focusing on developing and publishing games and digital entertainment for the tablet, mobile and handheld market. Andy, chief executive officer of Pixel Toys, said they were currently putting the finishing touches to a new game which would be released in the spring. “We make games for all ages for global markets that people can download from mobile app stores,” he said. “Pixel Toys is going really well and we have our first game coming out in April for the Nintendo 3DS console which is really exciting. “We have been working on that since the company started in October in collaboration with another group of people. “We are concentrating on producing high-end mobile games next because of the huge surge in sales of smartphones and tablets and the different ways in which users want to play their games now. Pixel Toys has recruited senior artist Phil Irving and plans to take on further staff and short-term contractors within the next few months to work on future projects. Andy added: “The Warwick Innovation Centre is a perfect base to set-up a new company because of its fantastic facilities and this is an area we know well.